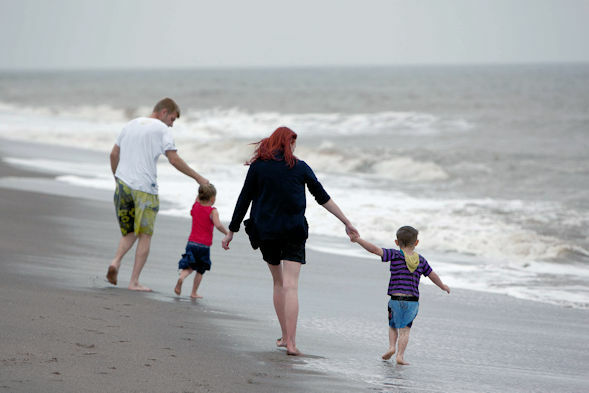 The Family Holiday Association welcomes today’s debate on term-time holidays in the House of Commons. The charity believes that holidays enjoyed together make for happier, healthier and stronger families. Unfortunately millions of struggling parents and children in the UK are missing out on any kind of break away from home. Research has shown that holidays provide a wide range of physical, educational, emotional, cultural and communal benefits to children and their families; benefits that all too many families are denied. A good education and school attendance go hand in hand but the Family Holiday Association believes that head teachers should be allowed to take a common sense approach to allowing some families to take a break in term time. Working on a case-by-case basis, schools can work with parents to decide on what is best for a child. The charity works with schools across the UK and teachers see the positive impact a break can have – even a term-time break. Struggling parents want to be able to provide their children with the holiday experiences that many of us take for granted. Family bonds can be strengthened and rejuvenated by helping them take a simple short break that they would not ordinarily be able to afford. Even a simple break at the British seaside can contribute to an improvement in a child’s educational attainment, and by assigning school work or projects authorised absence can provide a constructive way of making the break relevant to the child’s classroom work. Members of Parliament are debating an e-petition relating to term-time leave from school for holiday in Westminster Hall on 26th The debate was allocated by the House of Commons Petitions Committee after an online petition secured more than 100,000 signatures. It is being led by Steve Double MP. The Family Holiday Association was established in 1975 and is a charity that provides simple UK breaks to families from across the country who are not normally able to afford a break away from home. The charity helps over 3,700 families a year (more than 12,000 children and adults), sending struggling families on breaks to the seaside, as well as arranging special group breaks, or projects, that focus on schools, family learning, citizenship or healthy breaks. These are families that face daily hardship made worse through illness, bereavement or disability. Families come to the charity via a referral system. Assessments and requests are made through a third party referral system by individuals interested in a family’s welfare – social workers, health professionals, head teachers etc. The charity frequently helps large school groups organise a joint-break away. In 2015 the charity is marking its 40th year of helping families by providing them with a much needed break.